The Emblem sums up Clara’s chief preoccupations as an artist: the juxtaposition of ideas and influences in life, pieces of a jigsaw puzzle that fit together perfectly, assembled to produce a complete picture, an emblem. The result is an eloquent, diverse and unquestionable musical tableau, consisting of ten original songs and a folksong, intended for the modern listener. 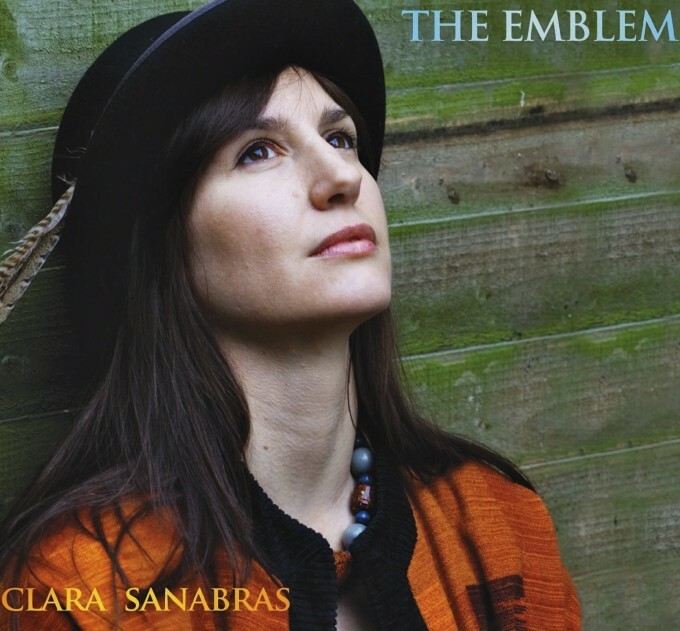 On this album Sanabras plays charango, baroque guitar, telecaster and Indian harmonium, the latter central to the meditative duet The Owls (Les Hiboux), based on a Baudelaire poem and featuring Rosemary Standley, lead singer of internationally-acclaimed French band Moriarty. Dovetailing Love, explores the idea of “The Craft of Love” in a dramatic Ennio Morricone style while the South American rhythms in Tokyo Cherry Blossom, urge us to make the most of life and takes the listener in yet another direction.